Laura Donefer has been using glass as her primary medium for more than thirty four years, often in combination with diverse materials. 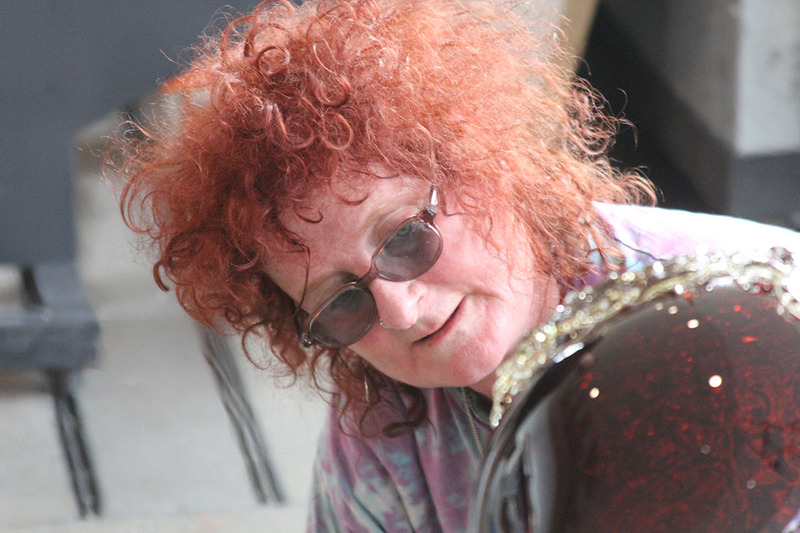 Known for her innovative, colorful blown glass and flame worked “Amulet Baskets”, she also pushes the boundaries with work that explores ideas concerning memory, assault, bereavement, joy and madness. In demand as an exciting teacher, Laura has taught workshops and given lectures worldwide, including Japan, the United States, and Australia. Her work is many public and private collections, the Corning Museum of Glass, the Museum of Glass in Tacoma, and the Museum of Fine Art in Montreal to name but a few. Laura has been honoured with many awards, among them the “Lifetime Achievement Award” from the Glass Art Association of Canada, the prestigious “Honorary Membership Award” from the Glass Art Society, for her dedication to the glass community at large, and the International Flameworking Award for “extraordinary contributions to the glass art world.” Every few years Laura organizes one of her wacky, exuberant Glass Fashion Shows, a fantastical spectacle for the international glass community to enjoy. Laura lives in the wilds of Ontario, Canada, and in her spare time grows kale, hangs out with her husband and her dachshund, and kayaks the nearby waterways, loving and living her life to the fullest!